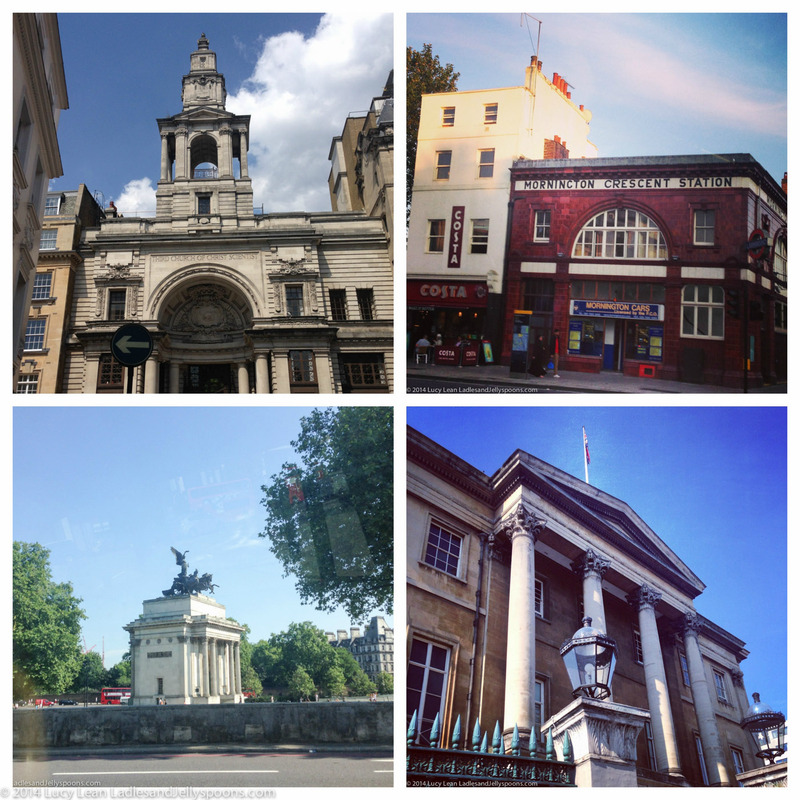 It’s official – I have now switched from Londoner to tourist in this gorgeous capital city that I adore. 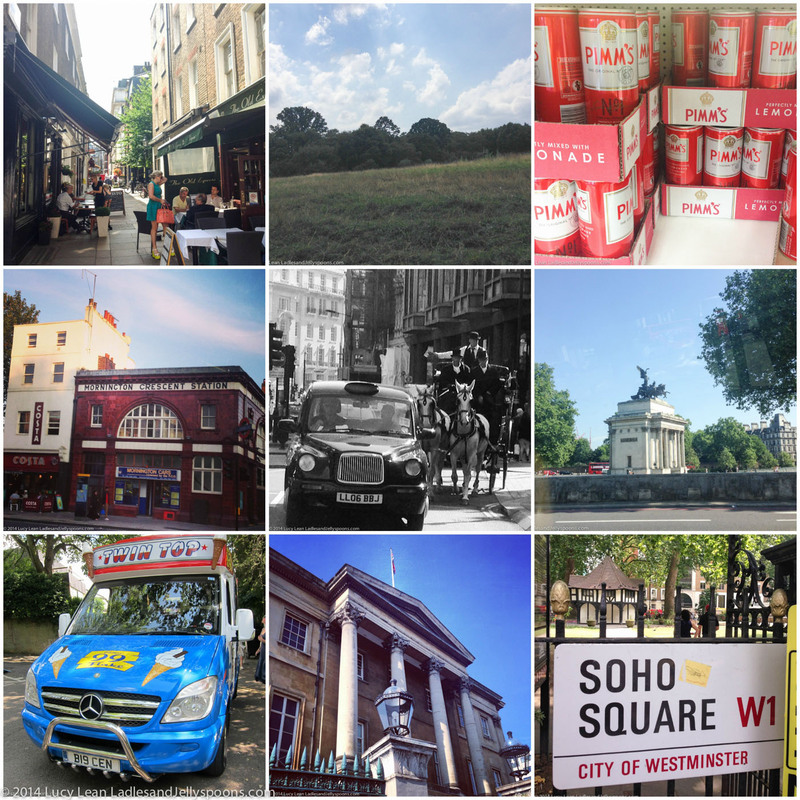 Pimm’s in a can, Flake 99s, historical buildings, blue plaques, the Heath, horse drawn carriages, the union flag and black taxis – I want them all – a Thousand Things to do and see in London. Hamish Summers and I would always joke that a walk across Soho Square meant a day’s work back in the BFI/PolyGram days. I now walk across Soho Square people watching and read the historic information posted at the gate! 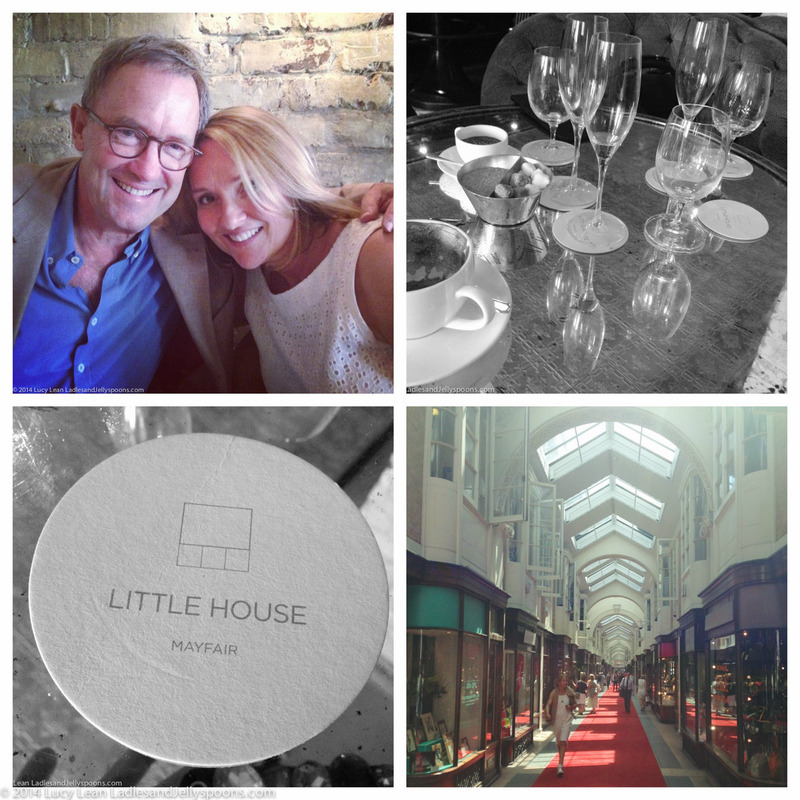 Our summer trip took us to London not once but twice when we flew with Virgin Atlantic into London Heathrow and then took the Eurostar down to Provence. Whilst the children went camping at Featherdown Farms Didier and I took full advantage of a few days together in London getting over jet lag, shopping, dining, sight seeing, catching up with friends and doing a little business. 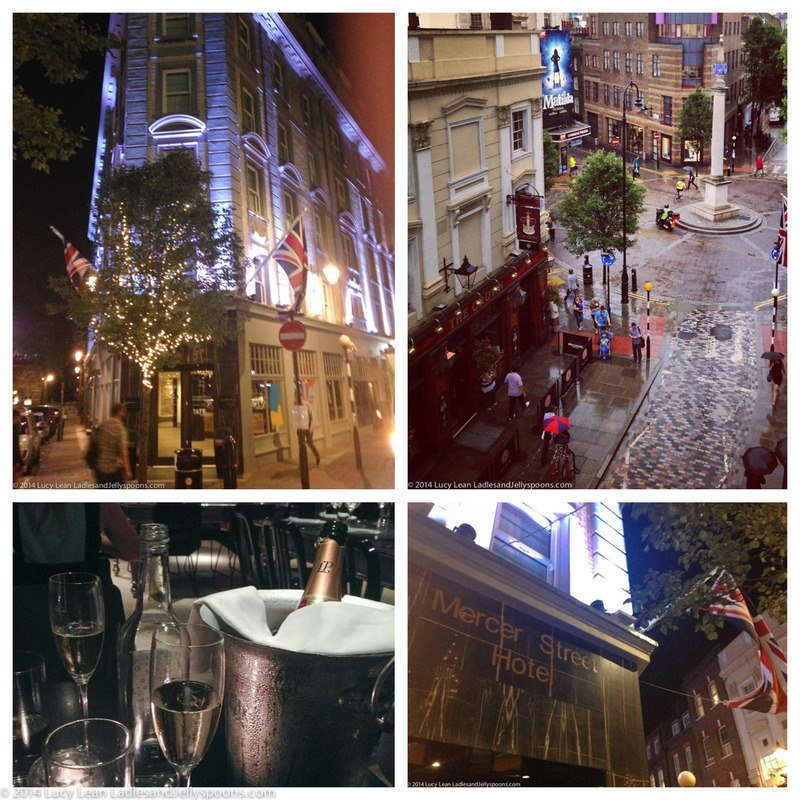 We stayed at the Mercer Street Hotel in the heart of Covent Garden. You can’t get much more central than this Seven Dials boutique luxury hotel. Our bijou-chic modern room (think small but stylish) had everything we needed – it was clean, the bed was super comfortable and best of all the staff were extremely courteous and welcoming. Arriving off the trans-Atlantic flight we made the classic mistake of falling into crisp white sheets and taking a nap. 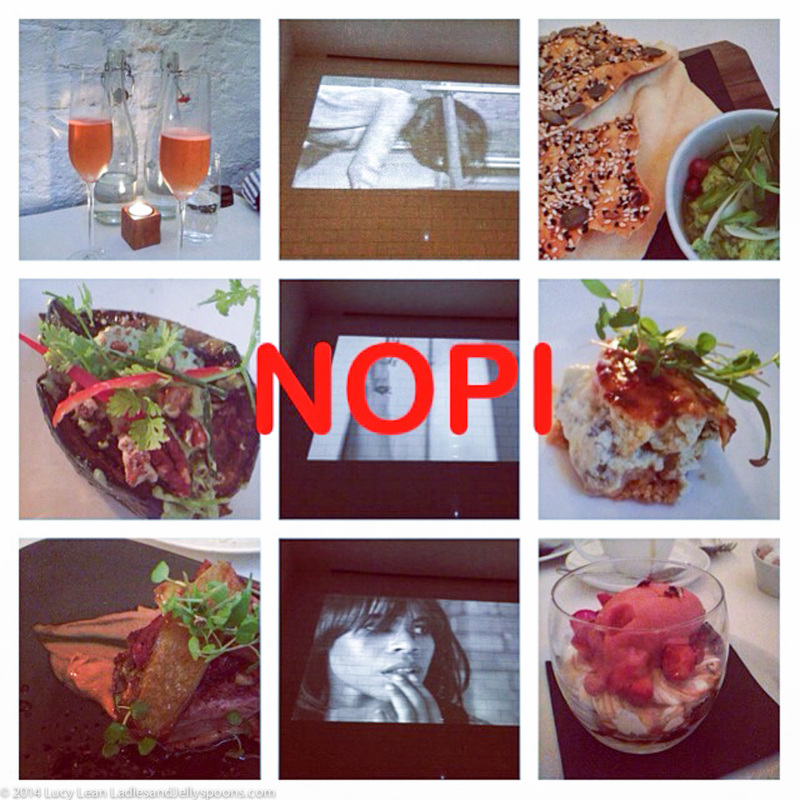 Waking just in time for a quick call to Yotam Ottolenghi for a last minute reservation at his restaurant Nopi. I advise being more organized than we are and booking this as a first night dinner in London. Rosé champagne and the exquisite flavor combinations that only Yotam does so well and the holiday was off to a great start. The food is so fresh and light – the perfect antidote for two weary jet lagged travelers. A huge treat for me is to wander the streets of the city I used to call home – with no destination or agenda – just taking the time to soak everything in. I have memories of visiting Covent Garden as a girl – we’d eat giant pancakes at My Old Dutch and buy little bags of beads in every color at the bead shop. I happened upon the bead shop on one of my walks this summer – it’s where I stocked up on beads and was inspired to make the love hearts. We explored Covent Garden with its vibrant tiny shops, restaurants and street entertainers in the market and surrounding cobbled streets and colorful alleys like Neals Yard. We walked out of the hotel the next morning into the sunshine and could hear the voices of children – a rehearsal of Matilda was going on with the giant wooden stage doors opened to the street and the sweet notes wafting out. Theatre in London is a must – we all had fun when we went to Matilda on our last visit to London and I must say hearing the children rehearse made it extremely tempting to go again. As with all trips there’s just not enough time. 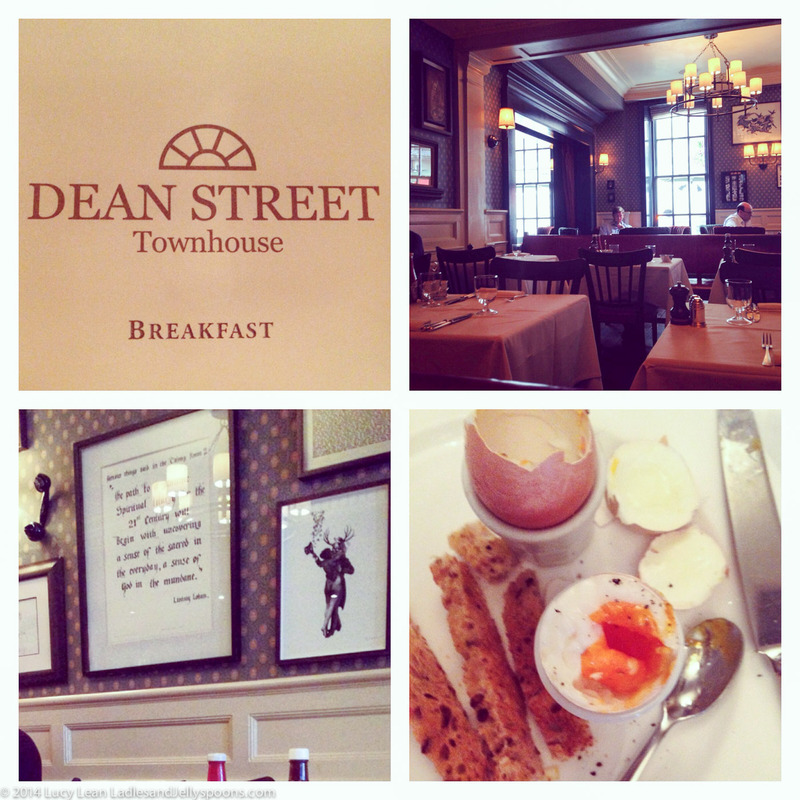 Didier departed for his meeting and I went to a breakfast meeting at the Deanstreet Townhouse. The Townhouse is one of our favorite London hotels and where we usually stay and I couldn’t not be so near to Soho without popping in for those eggs with orange yolks and soldiers. Full up from breakfast and with an inspiring Lindsay Lohan quote for good measure (“The path to genuine spiritual liturgy for the 21st Century will begin with uncovering a sense of the sacred in the everyday, a sense of God in the mundane”) I took a taxi up to Albert Street – where I used to live – to visit my friend Katy Orr and her delightful children. Katy and I were at St Paul’s together – many an afternoon was spent sitting next to each other learning about bonds in chemistry from Mr. Walker. She coincidentally bought my aunts house a few years back – where I lived during my gap year as the ‘nanny’ to my cousins. It was very odd sitting at her kitchen table in the spot where I once used to take a bath! After a quick catch up over tea we all piled into her orange people wagon and drove up to Hampstead Heath. 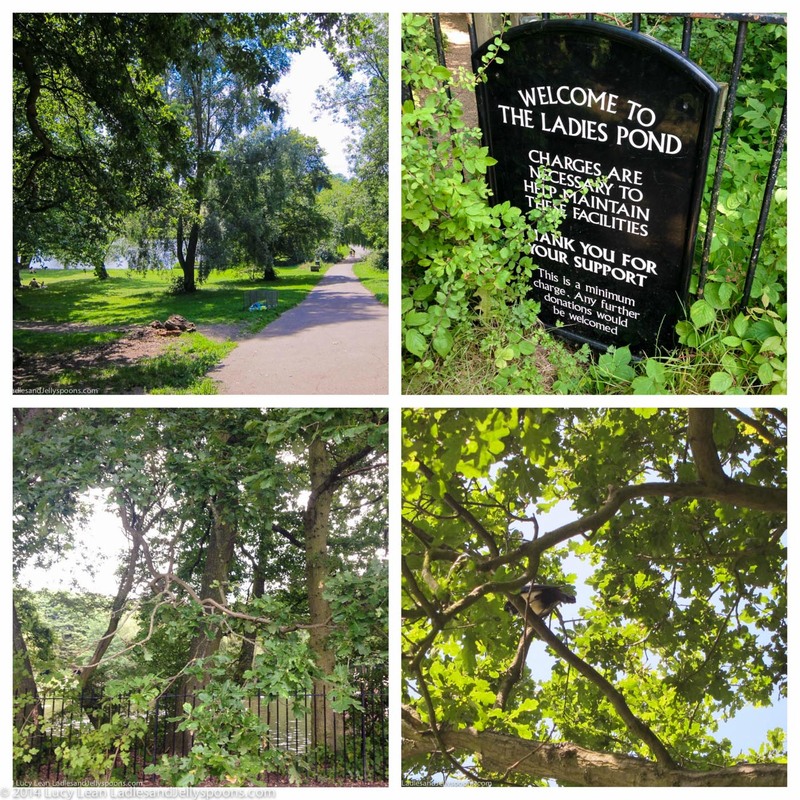 If there’s one thing I did in London that was the standout highlight and I’d recommend it to anyone who can manage it – it was swimming in the Ladies’ Pond. The brackish water was chilly but not as cold as expected. Once around the pond, as we chatted about where our lives had taken us since A levels, and I was living in the moment. There was something so uplifting and life enhancing, to quote Lindsay Lohan I had found “a sense of the sacred in the everyday.” Surrounded by trees, ducks and lawns where ladies lay out sunbathing I was swept back to another era – forget Lindsay Lohan, this was the stuff of the Misses Dashwoods from EM Forster. We picnicked under giant oak trees on the edge of a meadow, as her boys played chess and the girls dried off. Munching on salads, true English sandwiches and crunching on crisps as the water dripped from our hair. The afternoon lasted so much longer than the few hours that ticked by too fast – friendship over decades and swimming under blue skies with white puffy clouds – nothing mundane about it. It really doesn’t get much better and I can’t wait to do it again. Thank you Katy. Didier took me shopping at Pickett in the Burlington Arcade – I found a tiffany blue leather wallet and a soft cream pashmina scarf. A lovely Beadle gave us directions to Queen Street, Shepherd’s Market – or there a bouts – where we met my Uncle David at Little House. Over bubbles and salad we caught up – he postponed his return to Bath to stay and chat longer and both Didier and I wished the time hadn’t passed so fast. 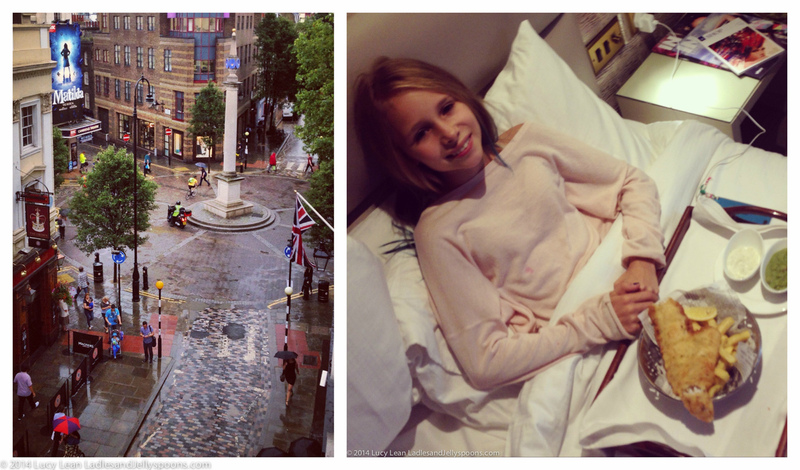 There really is never enough time in the day, and days in the week when we visit London. Glimpses of places I used to live from taxis and places I would like to live one day. Monuments and statues that remain in the same place, even as the cityscape changes with each visit. A short walk from Mayfair is No.1 London, Apsley House, the home of the Duke of Wellington. Somewhere I’ve always wanted to visit and until this summer had only ever driven past. We stepped inside to learn all about this great general. What struck me was how intertwined the lives of Wellington and Napoleon were and also how the British and French aristocracy were in and out of each others lives constantly. Giant portraits of both men, and their women, hung in the hall. There were china sets that Wellington had purchased after the French Revolution in Paris and swords and medals galore. This is the England I miss in Los Angeles – I want to be able to wander into a cool building with its marble floor and imposing staircase, sparkling chandeliers and ghosts whispering through time about the grand dinners celebrating the battle of Waterloo with his fellow soldiers. I need that sense of history to feed my mind. We collected the children from the countryside on the train and arriving back in London the boys took a trip to an industrial estate in Acton to find H.O.G. (The Heart of Gaming), a game museum mecca for boys (Nintendo, guns, cars – but no Pacman!). 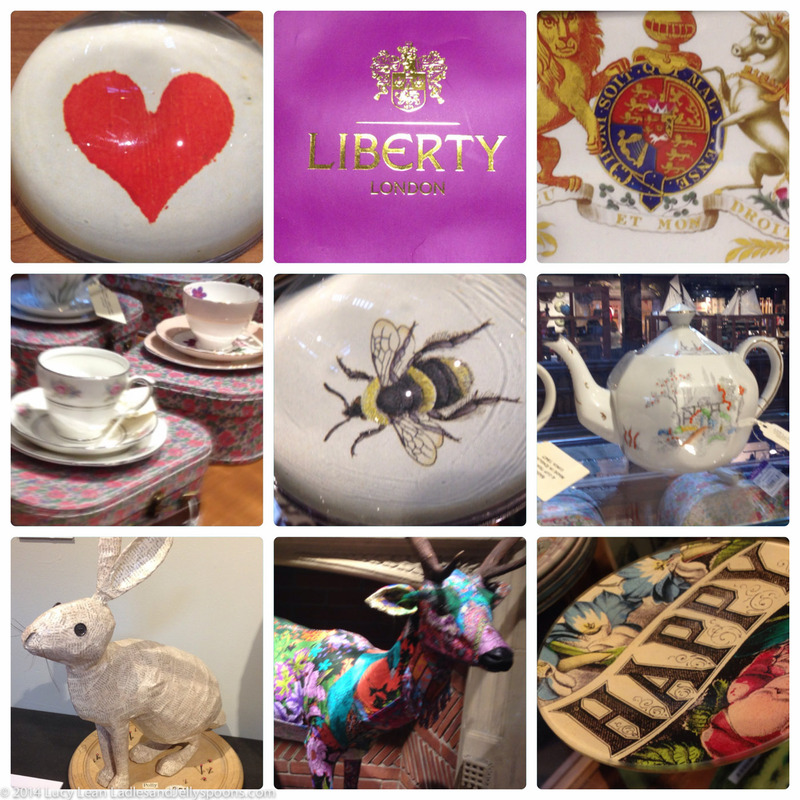 Whilst the boys lost themselves in deepest darkest West London Minty and I went shopping at Liberty of London – our mecca. So many temptations. I found some white spoons that I’ve used for my yogurts and lots of tana lawn fabric. We then got lost at the Anina Vogel counter in the jewelry department. Victorian charms galore – I desperately want/need one of her necklaces. 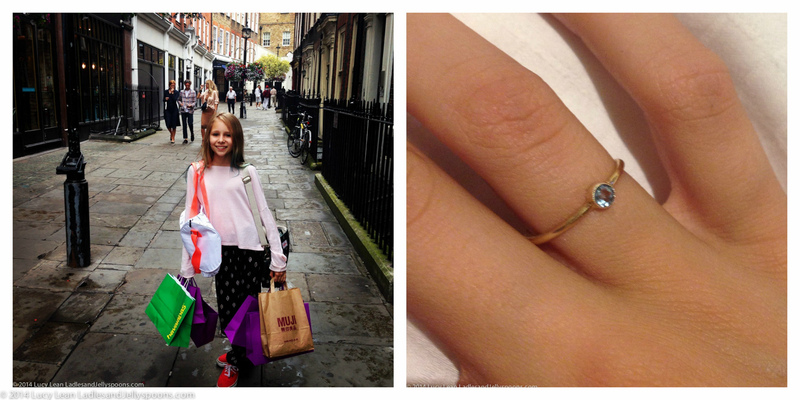 Instead we bought Minty her first piece of real jewelry – a dainty gold ring with a Victorian aquamarine stone. The perfect present for her twelfth birthday and the best souvenir of a fun mother/daughter shopping trip. Back at the hotel we had booked an additional room for our last night in London – girls in one room and boys across the hall in a smaller room. Traveling as a family when the hotel doesnt have family rooms means splitting up. We ordered really good fish and chips (and crisp white pinot) from room service – so good that the boys came in and asked for us to order them some! Next time we stay at the Mercer Street Hotel in Covent Garden we are going to be sure to take full advantage of room service – it was a delicious way to round out our London visit before a good night’s sleep and an early start to get to St Pancras in time to catch our train to Provence. let’s go back together and visit Nigella!